After a disastrous week in which Kogalo were unceremoniously eliminated from the Sportpesa shield and the CAF confederations cup, the defending champions return to the Sportpesa premier league. The match between Gor Mahia and Kakamega Homeboyz that was originally scheduled for Thursday has been moved to Friday according to the KPL social media account. 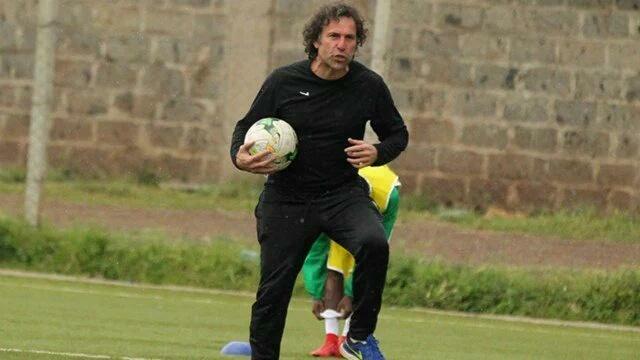 The changes were needed as Gor Mahia were scheduled to arrive from Morocco on Wednesday. Gor Mahia will be looking to redeem themselves while Kakamega Homeboyz are out to pounce on any perceived weakness including travel fatigue. “We have prepared well and we are hoping for the best. We cannot say that it will be a difficult game simply because they (Gor) are coming from far and were beaten 7-1 last week. We have to be at our best and that is what we shall focus on,” said Homeboyz coach Nicholas Muyoti. Two days later, Gor Mahia will be in Kisumu to play Ulinzi. The venue of the Gor Mahia vs Ulinzi Stars match has been changed from MISC, Kasarani to Moi Stadium, Kisumu. The match will be played on Sunday, April 21, 2019, KO 4:15 pm. Gor Mahia are tied with Sofapaka atop the premier league standings. Gor Mahia’s disastrous CAF cup campaign has come to an end. They were beaten 5-1 by RS Berkane. The Moroccans applied a pressing game knowing that the fatigued Kogalo players were not capable of responding. The host took control of the first half that saw Gor captain Harun Shakava become a casualty at the defence leading to the Moroccans goals that were netted by Kodjo Fo-Dohlaba, skipper Mohammed Aziz and Bakre El Helali. Lawrence Juma hit the target for Gor to see the opening half end 3-1 and 5-1 on aggregate. 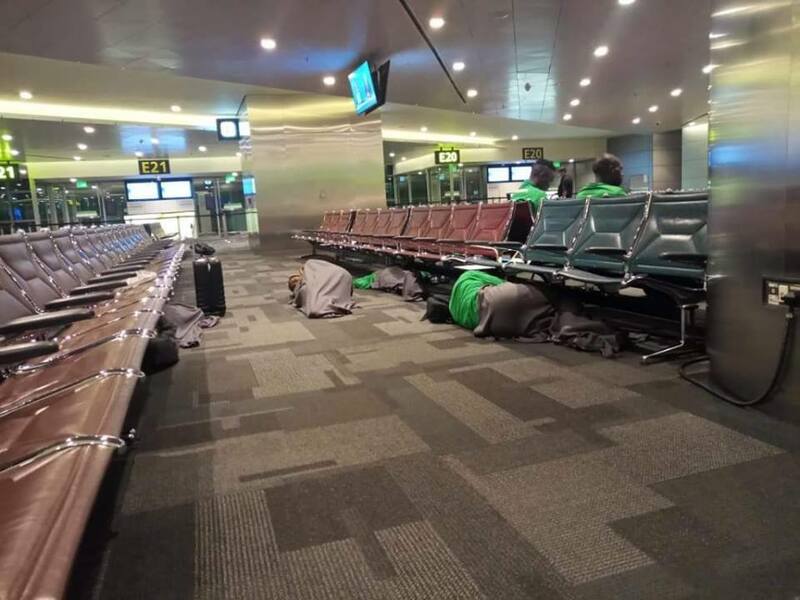 There were fears that K’Ogalo could result to fielding only eight players after the second batch of players that consisted of most starting X1 led by attacking midfielder Francis Kahata, delayed on the day of the game after a six hour drive from the Moroccan capital to the venue, but they managed to arrive less that an hour to kick-off. Playing at home and knowing their opponents Gor had no time to shake off jet lag, Berkane surged forward from the whistle with winger HamdiLaachir and Samir Ouidare posing danger and giving the Gor back-line of Geoffrey Ochieng, Shakava, Joah Onyango and Philemon Otieno a hard time. In the 21st minute, Gor felt the heat to concede the opener after Shakava poorly cleared a cross that was swung from the right to land on Fo-Dohlaba who easily beat Gor custodian Fredrick Odhiambo. Berkane could have made it two, after three minutes if Laachir had found the target with his header from a Fo-Dohlaba cross. On the other end, Gor pulled one back from Lawrence Juma who utilized Philemon Otieno’s cross from the right flank to beat the sloppy Berkane defence and bring K’Ogalo back in the game as the score read 3-1 on aggregate. Gor survived in the 27th minute when Joash Onyango feebly cleared the danger that fall on Laachir who saw his shot deflected for a fruitless corner by Shakava. Berkane could have been four goals up if they had not fluffed their glorious chances, this time seeing Fo-Dohlaba miss a clear sitter from close range after Laachir had brought in the cross. However, they made the amends at the half hour mark when Aziz rose high to powerfully connect a free header from a corner that was conceded by Shakava and restore Berkane’s three goals aggregate lead. Seven minutes later, Gor found themselves on the receiving end again this time seeing Bakre El Helali strike easily by showing composure to pick the spot after Shakava failed to stop him as other defenders gave him space to shoot at the far right side. Gor head coach Hassan Oktay pulled out Shakava for Boniface Omondi. On return for the last half, Gor could not get any better as Berkane added the fourth goal through defender Issoufou Dayo who scored from a free header after Laachir swung in a corner conceded by Boniface Omondi. K’Ogalo’s poor defence on set-pieces was evident after substitute Youssef Essaiyoy headed the ball home from a corner in the dying minutes as the Gor defence watched the ball roll in the net. Gor will now turn their attention on defending the Kenyan Premier League title where the sit pretty at the top on 44 points with four games in hand. The team was at the airport on Thursday but only nine players and a officials traveled as the rest searched for flights. The final last that included 11 players and the technical bench members finally left Nairobi for Morocco via Doha at 10am Saturday morning and and will arrive on matchday. 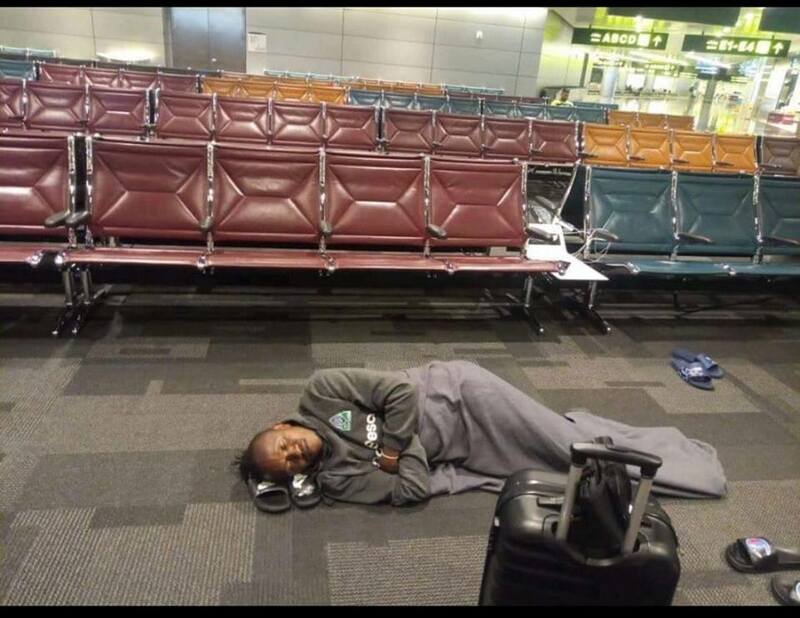 According to Capital FM, the team left for a six hour flight to Doha from the Jomo Kenyatta International Airport, meaning they will land in the Qatari capital at approximately 4pm EAT. The team will then have a nine-hour lay-over before departing for Marrakech. But, coach Oktay , returning to the bench is confident. “We can’t give up. I don’t give up. That’s part of my philosophy. We will go there and fight and see if we can get a good result,” the tactician stated. “We are currently resting on the floor in the waiting room. 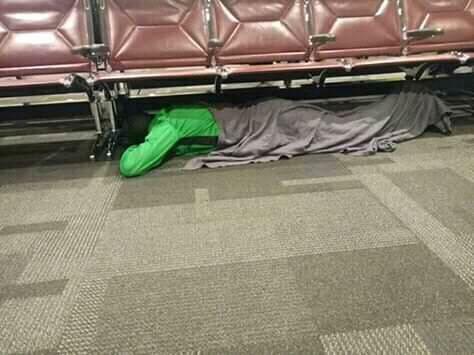 Our flight is at 12.00 midnight and the club says it does not have money to book a resting room for us,” he said. The teams had battled to a 1-1 all draw in regulation time forcing the match officials to call for the post match lotteries to decide the winner as per the tournament’s rules. On-form forward William Wadri gave Bandari the lead on 56 minutes before Dennis Oliech restored parity for K’Ogalo with 15 minutes to time. Gor Mahia coach made five changes to the team that started against Berkane, with Batambuze coming in for Geoffrey Ochieng while Shakava replaced Charles Momanyi. Erisa Ssekisambu, Nicholas Kipkirui and Samuel Onyango – all of whom came in against Berkane in the second half – earned starting berths as coach Hassan Oktay sought to keep the club’s dream for a treble alive. The defensive midfield position has been an area of weakness for Gor Mahia of late. Injuries to key players made the situation worse. Thus coach Oktay was eager to bolster the position. Hence the signing of Hashim Sempala from Tusker. The club needed a player who can free up Kahata and Muguna’s creativity by giving them fewer responsibilities while linking the defence to the attack. This requires technical skills which Sempala has in reserve. Sempala was excited at the prospect of playing for Kogalo. “It is my greatest honour to sign for the biggest club in Kenya. I have always had the dream of playing for the club and I thank God that I finally have the chance to feature for them. Sempala says he will fit right in and will not dissapoint the fans. “I have a few friends around, and I don’t think I will have any trouble to fit into the team. I have also played in the Kenyan league and understand what comes with playing for a big club like Gor Mahia. It is a dream for me and I will not disappoint the fans, I am ready for the task.” he continued. Sempala’s listed age is 24. Before Tusker, he played for Express FC, Uganda Revenue Authority and BUL, all in Uganda. While at Tusker, he was appointed team captain.